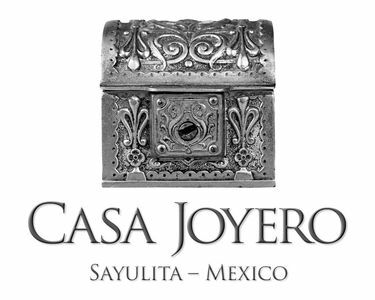 Best Sunset Views In All Of Sayulita! 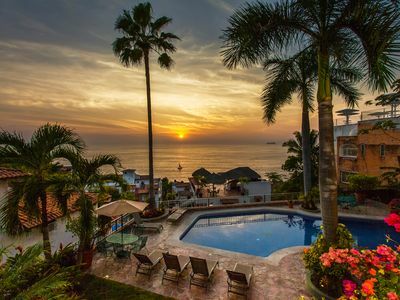 If you're looking for the best sunset views in all of Sayulita, then look no further! 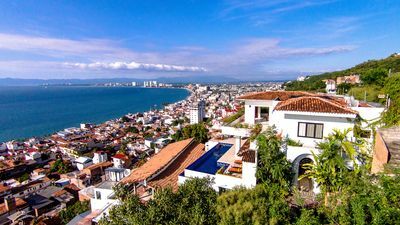 Mi Cielo Azul is a romantic retreat located on top of a mountain ridge with 360 degree views overlooking the Pacific Ocean and surrounded by a tropical paradise. 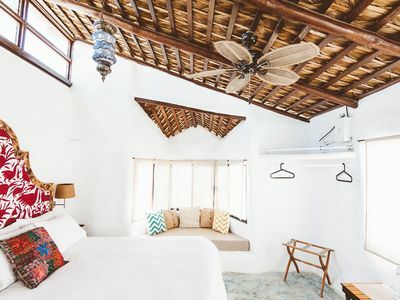 The views from this private retreat are endless-- expansive views of the Pacific Ocean, views of Monkey Mountain, views of Sayulita, and views all down the coastline. If you're a bird watcher or just want to really unwind, grab a cup of coffee in the morning or a glass of wine in the evening and sit outside and watch the jungle come alive with parrots, humming birds, black throated magpie jays, chachalacas, wood peckers, and more. 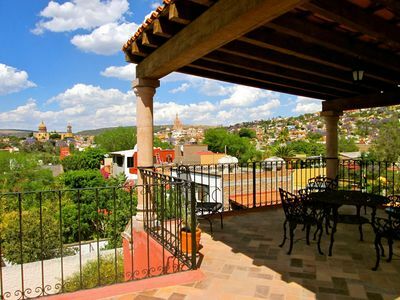 Our casa is a 3 bedroom, 2 bath, with a large open living room, dining, and kitchen. 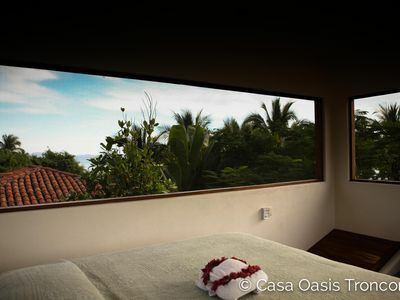 The master bedroom is upstairs with it's own private bathroom and 2 large outdoor patios with amazing views. The 2 downstairs bedrooms are ample sized and share a large bathroom. 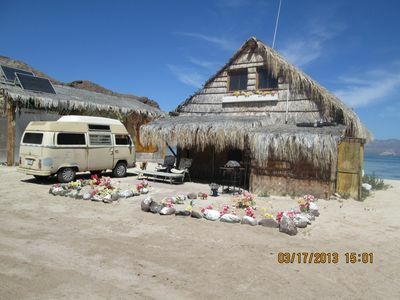 All bedrooms have AC and the kitchen and living area also have AC. The kitchen has a large gourmet gas stove and oven, a modern refrigerator, and everything you need to make yourself at home for the week or as long as you desire. 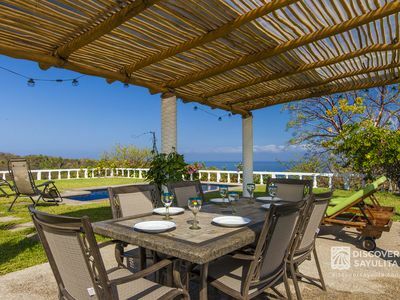 There's also an outdoor BBQ grill for grilling fish or burgers by the pool. The entire downstairs living area has steel bi-fold glass doors that can be opened up for a 180 degree view of the pool, the ocean, and Monkey Mountain. 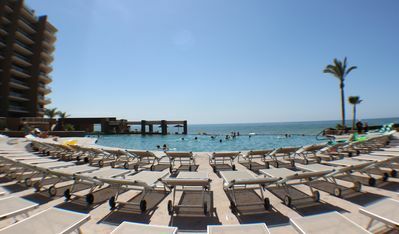 The salt water pool has a tanning ledge and bench seating to relax and enjoy the endless views. 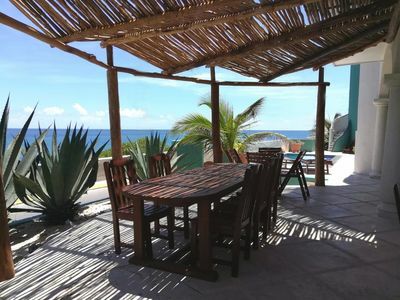 The house is equipped with the fastest available WiFi in the area provided by Sayulita WiFi for those that must stay connected. There's also a large flat screen TV in the living area with a DVD player with large collection of DVDs . Our luxury retreat is situated on nearly 2 acres of paradise. 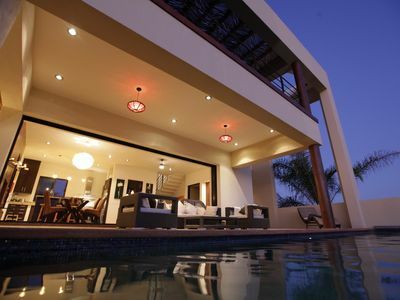 It is very private and gated in an exclusive area with other luxury villas on either side. 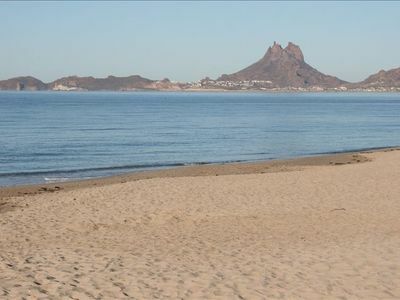 It is the perfect location just 1 mile south of the town square, near enough to walk, drive or hop a taxi for all the great food, beach time, shopping and nightlife, but far enough to be away from all the hustle and bustle and party noise. And for those that like to hike, there are great trails and roads from our casa through the jungle and down to a secluded beach. 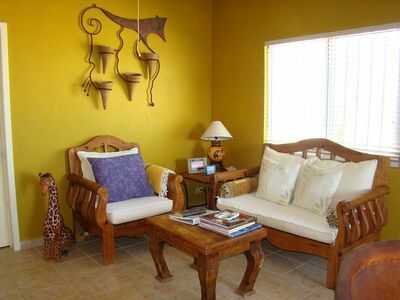 It's perfect for your relaxing, private and peaceful vacation in paradise. We have a concierge onsite next door to meet and greet you at "check-in" and to ensure everything is in order throughout your stay. Our concierge can also provide suggestions for restaurants and activities, arrange for a private chef or massage, and assist in any other arrangements to help make you stay magical. Mi casa es su casa! ***For larger groups, there are additional luxury villas on either side of us that can be rented to accommodate everyone. Our pool and backyard paradise can also be arranged for an unforgettable wedding with a spectacular sunset! 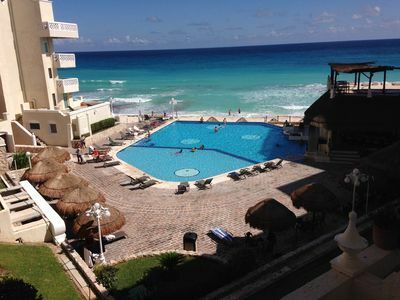 ***Inquire for long term rental (30 days or longer). 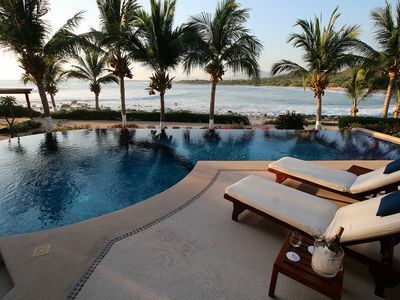 Direct Oceanfront with amazing views in Luxurious and Private 5 star villa! 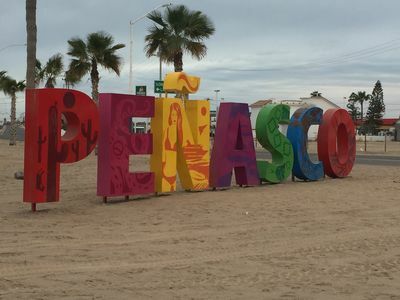 Rocky Point-Puerto Peñasco, México Encanto Living at the Beach! 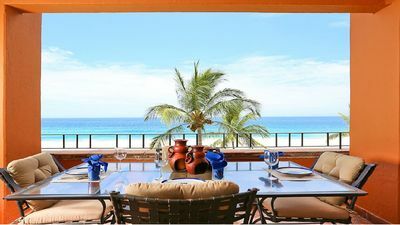 Panoramic Ocean Views in Zona Romantica from your very own Penthouse!